In the field of dental radiology, BDD Dental Clinic is equipped with the Cone Beam Volumetric Tomography, which allows exposing the patient to a dosage of radiations twenty times lower than that of a traditional CT scan. Acquiring about six hundred images, the Cone Beam is extraordinarily useful in different fields of dentistry, for example in endodontics and orthodontics. To clarify the clinical picture of the patient, the dentist makes x-rays that will be useful in the formulation of the diagnosis and the therapeutic plan. The Cone Beam is a new high resolution 3D scanning equipment with low exposure to radiation. The patient is stationary, while the machine performs a single rotation around his head in 10-15 seconds. The data are reconstructed in 3D using a specific software. The images allow doctors and dentists to quickly visualize the skull’s teeth and bones, making quick diagnosis. 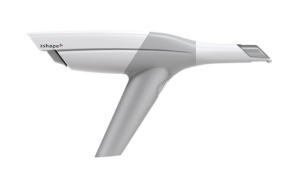 The TRIOS 3SHAPE technology prevents the patient from the discomfort of the traditional method (cast) and at the same time detects, through an optical scanner, information at a much better level of detail. 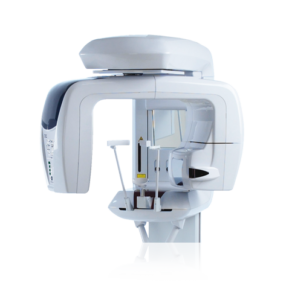 BDD Dental Clinic uses TRIOS of 3Shape, a wireless intraoral scanner that allows the acquisition of real-time scanning, 3D ultra-high definition mouth scans.